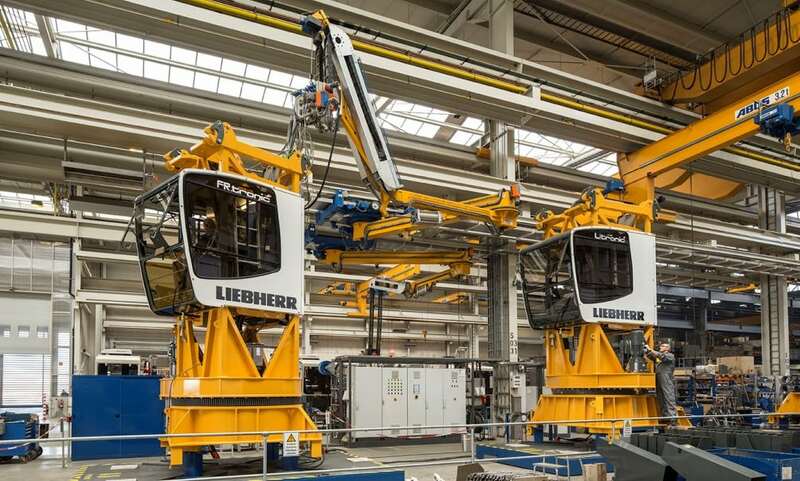 Consistently in use: The Liebherr Group with its crane division at the Biberach plant (LBC) has been a client of IGH Automation since 2003. LBC is continuously using our test software in production – from the test stand for the electrical subassemblies of construction cranes to the checking of top-slewing and bottom-slewing cranes, as well as for component test stands in all assembly cycles. The amount of work involved for LBC in quality assurance before they used our test software was immense. All subassemblies of the rotating tower cranes had to be transported to the outside area for testing and then assembled. This involved two employees working non-stop for two whole days. The company therefore decided to replace the primarily manual testing with automated testing. Our test software checks the functions of the main subassemblies as early as during production. The test stands simulate all operating conditions and operator actions. This requires just one employee needing only four hours to complete all the work. In addition, all data is recorded automatically and stored in the digital machine protocol. "The IGH software has achieved the time savings, the reproducibility and the logging in exactly the way that we wanted. The system is also remotely maintained, which makes our production process very economical. In practical terms there was nothing that couldn't be fulfilled because the experts from IGH Automation found a good solution to every problem. We were also rather impressed when our colleagues themselves connected new units under test to the test stand for the first time and defined a suitable test stand and scope of testing for that. Beforehand we hadn't expected it to work so smoothly."